Ann Patchett is a terrific writer who has won both the PEN/Faulkner Award and the Orange Prize for Fiction. She also is co-owner of Parnassus Books in Nashville, a fantastic bookstore that is at the forefront of making independent bookstores not only successful, but indispensable. In 2012, Time magazine named Patchett one of the 100 most influential people in the world. High praise indeed. As I read Ann’s blog post and took note of the books she read during the year, I was envious. 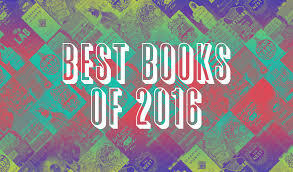 I hadn’t read one book that she referred to in her list of the year’s best books. Thinking about the books I had read over the past year, I realized that I read fewer books than I have in past years, and many of the books I read were being consumed for research purposes, not for pleasure. Even so, when I listed out the books that I did enjoy and would recommend, I still came up with an eclectic list of ten books. Not all (or even most) were written during the past year. I just consumed them during 2016. 10. Bob Honey Who Just Do Stuff by Pappy Pariah (Available only on audio) – This is probably the weirdest book I have ever read. In fact, everything surrounding the book is weird. No one knows for sure who the author, Pappy Pariah, is. Actor Sean Penn has been making the rounds of talk shows promoting the book, but he swears he is not Pappy Pariah. He says his only connection to the book is that he signed on to read the audio book. The book is about a strange man named Bob Honey, a septic tank specialist by trade, who works for foreign governments by going around to retirement communities and dispatching the elderly with a firm thump to their heads with a wooden mallet. But that’s really not what the book is about. That’s the story that flows through the novel, but the book is also a political commentary of sorts. It’s smart, funny, well-written, and endlessly weird. If you’re looking for strange, this just might be the book for you. 9. 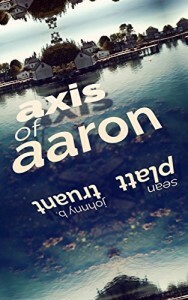 Axis of Aaron by Sean Platt and Johnny B. Truant– Authors Sean Platt and Johnny B. Truant are prodigious writers who churn out commercial fiction (mostly sci-fi and horror) most of time, but each year they set aside the time to produce one literary fiction novel. The duo admits that despite their literary fiction being their least profitable venture, it is also the favorite (and some would say “best”) writing they do all year. Axis of Aaron is Platt and Truant’s literary effort for 2016. 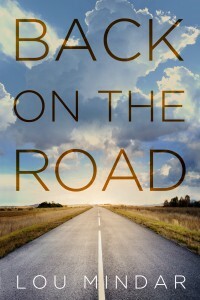 The novel is a mind-bender that follows the protagonist, Ebon Shale, back to his childhood home on Aaron Island following the death of his wife. But things on Aaron don’t match his memory. In fact, Aaron isn’t even the same from day-to-day. Neither Ebon nor the reader are ever sure what is real and what is fantasy. 8. The Man from Primrose Lane by James Renner – This is one of those books that turned out to be quite different from what I expected. It was recommended to me by a friend, but he wouldn’t tell me much about it, other than to say that it was good and he thought I’d like it. I thought I was going to be reading a crime novel, and the first half of the book was exactly as I expected. But without warning, the book turned into a time travel adventure. 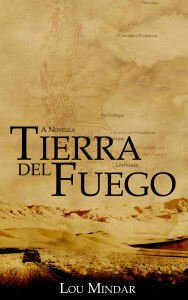 To be honest, the change kind of irritated me, but I had already invested myself in the characters, so I kept reading. Normally, I don’t like books (or movies) with a split personality. I want the author (or director) to know what they want their story to be. In my experience, when you try to cater to too many different tastes, you end up disappointing everyone. 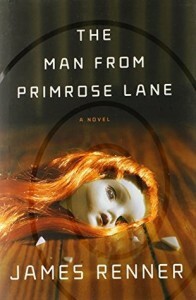 Even so, I have to say that I enjoyed The Man from Primrose Lane despite my initial irritation. Renner’s characters are a bit stock, and his ending is a little schlocky (not to my taste), but the overall experience was still a good one. 7. 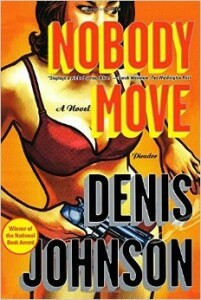 Nobody Move by Denis Johnson – This is the worst book I have read by author Denis Johnson. Train Dreams, Jesus’ Son, Tree of Smoke, and The Laughing Monsters were all better. Even so, it still makes my top ten list for 2016. This should give you an indication of what a great writer Johnson really is. As I said, this is not his strongest work, yet it’s still very good. 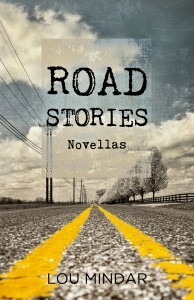 It reminds me a little of Elmore Leonard’s work, but with Johnson’s unique perspective of life on the street. In Nobody Move, Jimmy Luntz is a two-bit hustler who owes some bad people money. When he decides to fight back rather than pay his debts to a local crime boss, Luntz has to go on the run. As in all of Johnson’s books, his characters are terribly flawed and often in trouble. While his attempt at true crime noir falls a little flat, Nobody Move is still a satisfying read. 6. 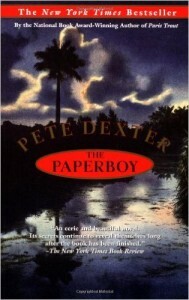 The Paperboy by Pete Dexter – Many years ago, I picked up a book called Deadwood by an author I was unfamiliar with named Pete Dexter. It turned out to be a revelation of sorts. I fell in love with the book, and I vowed to read more of Dexter’s writing. It took me several years, but I finally picked up another Pete Dexter book. The Paperboy was first published in 1996 (better late than never), and was made into a forgettable movie starring Nicole Kidman, Matthew McConaughey, Zac Efron, and John Cusack in 2013. It tells the story of an investigative newspaper reporter in South Florida in the 1960’s who sets out to prove that a backwoods swamp dweller didn’t commit the murder he was convicted of. I can’t speak for the movie (I never saw it), but the book is terrific. I’m making the commitment to read more Pete Dexter. He really is a sensational writer. 5. Modern Romance by Aziz Ansari – This is one of two nonfiction books that made the 2016 list. A friend recommended Modern Romance to me when I was going through a divorce. The book is Ansari’s take on dating in the Internet age. I was not particularly excited to read it. I didn’t feel I needed dating advice from Ansari–a comedian I thought was just okay–but it came so highly recommended, I felt I had to take a look. I’m glad I did. Modern Romance is a very entertaining book that talks about presnt day dating without stooping to giving dating advice. Ansari’s writing is humorous, but he never goes into one of his stand-up bits, something I feared when I bought the book. Whether you are out on the front lines of the dating scene or comfortably ensconced in a relationship, Modern Romance is a fun, entertaining, educational read. 4. 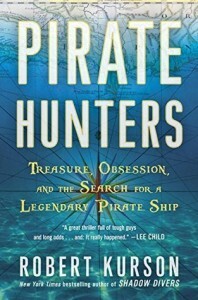 Pirate Hunters by Robert Kurson – To me, Pirate Hunters is exactly what a nonfiction book should be. It tells a terrific, compelling story without inundating the reader with the “inside baseball” minutiae that many nonfiction books get lost in. That’s not to say that Pirate Hunters isn’t detailed. It is, but the small details are revealed as part of the story, not as a history lesson. And it’s the story that is the strength of this book. Pirate Hunters tells the story of two men who risk their finances and reputation to find the Golden Fleece, the ship of the infamous Joseph Bannister, a former British naval officer turned pirate. It isn’t for riches that these treasure hunters seek Bannister’s ship, but for history, which somehow makes the story all the more compelling. 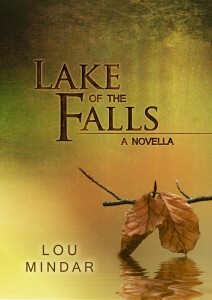 A terrific, suspenseful, endlessly interesting read. 3. 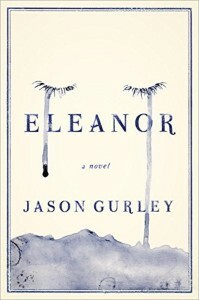 Eleanor by Jason Gurley – There’s a rather famous story about the publication of this book. The author, Jason Gurley had made a living designing book covers, but he wanted to write fiction. The problem was that he was a really in-demand cover designer, and he never had enough time to write. So he began scaling back his design business–losing money in the process–and wrote his first novel, Eleanor. When he was finished, he self-published the book to great success. In fact, his success caught the eye of an agent, and the agent eventually sold the book to Crown Publishing, an imprint of Penguin Random House. In some ways, Eleanor reminds me of Axis of Aaron (see above) in the sense that it is a mind-bender where reality is fungible. The story could have easily gone off the rails, but Gurley does a good job of making the unreality real for the reader. It’s weird, but it never gets so weird that it loses its audience. 2. 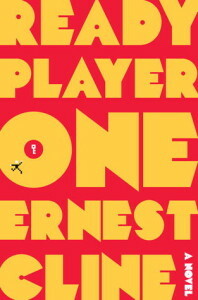 Ready Player One by Ernest Grimes – The year is 2044 and the world is not a very nice place. Society has largely broken down, and people spend their days in high-rise single-wide trailers called “stacks,” which often collapse, killing the residents. The one constant form of entertainment and distraction is an online virtual utopia called OASIS. 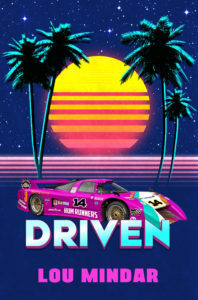 When the creator of OASIS—the wealthiest man in the world—suddenly dies, his estate holds a contest in the OASIS world involving the creator’s pet obsession: 1980’s pop culture. The winner takes over OASIS and will become instantly wealthy. The protagonist, teenager Wade Watts, is up against powerful corporate interests and a rag tag group of other OASIS players. To win the contest, and perhaps save the world, Wade must overcome his dysfunctional family and the corporate minions determined to stop him. Ready Player One is an incredibly entertaining novel that combines a post-apocalyptic world with 1980’s video game culture. I enjoyed this book much more than I expected. 1. The First Fifteen Live of Harry August by Claire North – I enjoy novels that play around with time. Time travel interests me, but many of the novels I’ve read involving time travel concentrate too much on the time travel and not enough on the characters and the plot. The First Fifteen Lives of Harry August gets everything right. 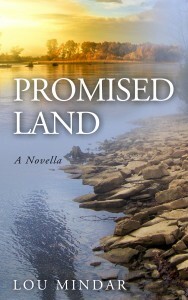 The writing is great, the characters are complex and engaging, and the plot is solid, intricate, and well-engineered. I like the final paragraph of the book blurb on Amazon. In describing the book, it says, “This is the story of what Harry does next, and what he did before, and how he tries to save a past he cannot change and a future he cannot allow.” Sound interesting? Trust me, it is. 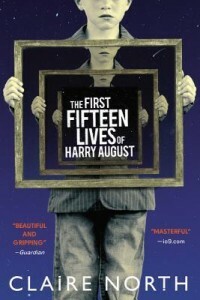 The First Fifteen Lives of Harry August is not a perfect book, but it’s very good. And it was the best book I read in 2016.